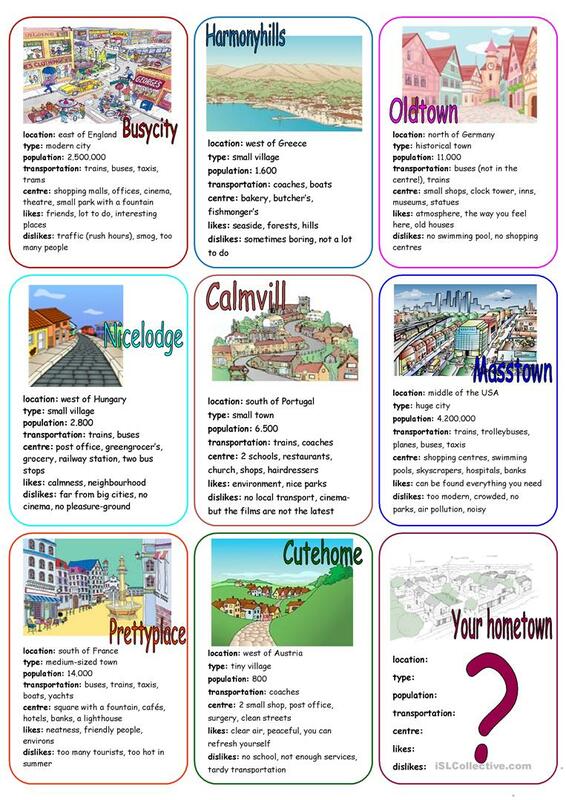 Nine speaking cards to talk about hometowns. Eight of them are completed with fantasy names, the ninth one is for students own city/town/village. The above downloadable worksheet is meant for high school students and elementary school students at Elementary (A1), Pre-intermediate (A2) and Intermediate (B1) level. It was designed for developing your class' Speaking skills. It is about the vocabulary topic of City.